Considering that I see myself as a museum person, I am shockingly bad at going to museums (and galleries, for that matter). I can blame school and broke-ness, I guess, but they’re pretty lame excuses. It is quite fitting that I showed up to one of the most celebrated shows to ever come through Denver two weeks before closing. Nevertheless, it made for a great date night, for not only was it Untitled (a monthly Final Friday night party) at the DAM, but it was my long-awaited visit to YSL! My motivation to get anything done this week appears to be absolutely shot. I am going to blame one part of this on an unusual amount tiredness, and the other part on the fact that my state is more or less burning itself into the ground. But progress has definitely been made on one front! I met with my comps proctor today and have my five major questions more or less decided upon. I need to send him an email soon that writes them out in an actual coherent question form and come up with 4-5 bibliographic sources for each question. I am currently on my 10th book with plenty more in the queue, so that won’t be a problem. In August I will submit three pages on each question. So yay, I now have an actual direction to proceed in! Now that I have a direction, I need to get back to work! Which means I need to outline for myself what I need to get done this weekend, since I am clearly lacking internal incentive. Wish me luck on getting all this done! Next up is a panda hat! I am so excited I can barely contain myself (seriously, I’m not being sarcastic here). Crazy. Excited. 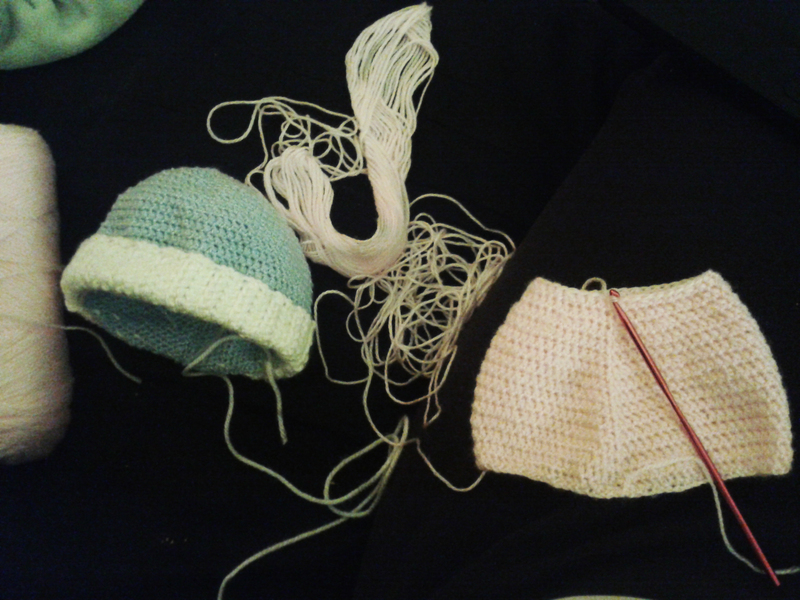 The girl’s version of the 0-3 month old hat is going well, though slower than the last hat. The yarn is very fine, the same size as the previous yarn I used, meaning that I am using a size F hook again, but it is a different yarn and the hat is turning out to have a much softer texture. I really hope it will fit, I’m not used to not having a head to test. I had to use a bigger hook to do the bottom chain, as I still tend to get my chains too tight. I still need to make the white brim, which I’m going to make a bit wider this time so that it can have a wider range of adjustment. I’m already looking forward to my next project, and I really want to get a little more original than a simple double crochet stitch. 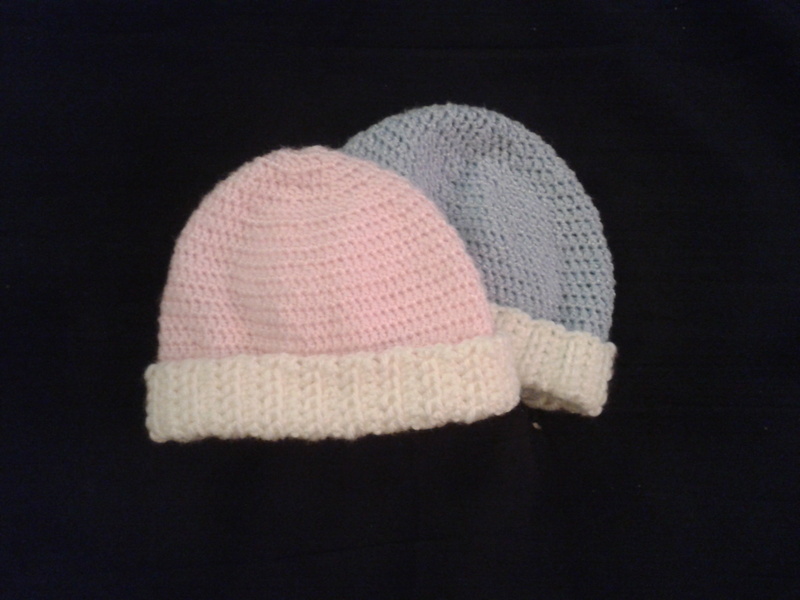 However, I can’t say that I’ve ever made a hat with a stitch other than single or double, so I’m a little nervous. I’ve found a lot of beautiful ideas on various blogs here on WordPress as well as on Ravelry and my books. It’s just hard for me to use a yarn that isn’t the size listed in the instructions, since I’m still pretty new at adjusting patterns for my own purposes. Freya is very supportive. 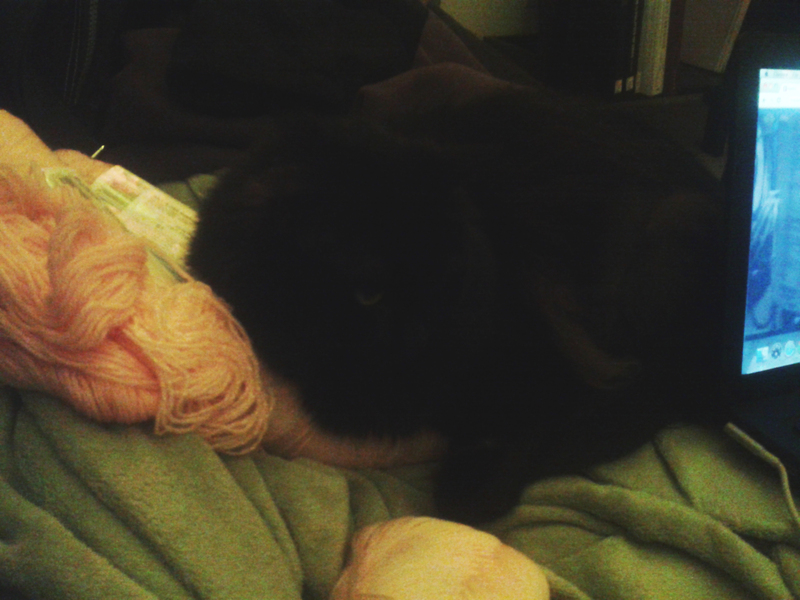 And she loves to lay on anything I need to use. As far as I can currently tell, Arcanum 17 is a shockingly undervalued text in the Surrealist canon of literature. My own proctor for my comps, who regularly teaches undergraduate classes in Dada and Surrealism, did not know about this book. It was a major turning point in Andre Breton’s life and in Surrealism, which was largely because his own hot head was finally cooled by WWII and his wife’s departure. This novel is a beautiful mixture of love letter, political pamphlet, myth, and meditation. It is part prose and part poetry, though in keeping with Breton’s transition away from automatic writing to instead rely on verbal imagery to disrupt traditional narrative structure, it is pushed more in the poetry direction. It is therefore difficult to actually read: it is like following his constantly-changing train of thought as he moves from one topic to the next, but all thoughts tie into certain central themes. I took on a lot with this blog– make that school and life, really– and I know it. Why did I take on so much? Because I had to. My mind, and therefore this blog, is (more or less) all over the place: I post reviews of scholarly works (for the purpose of studying) and movies (for the purpose of giving my brain a damn break); I post about what I am crocheting (to keep with my original intentions when I decided to create a blog as well as to maintain sanity) or generally creating; and I post about the woes of being a grad student. We all need a way to sort things out and cope when life gets difficult.